Google, by any practical analysis, has a monopoly over the search engine. Any proposed competitor is a David up against Goliath without the added bonus of having God on his side. Over 90% of all online searches go through either Google or Youtube, which is owned by Google. Billions of viewers use these search engines every month, dwarfing any alternative in comparison. A great responsibility thus rests on the shoulders of this tech giant, for Americans and people all around the globe depend on this avenue for their information and knowledge about the real world. While this responsibility is evident, so is the extent of power that is available for this monopoly to use to appease some greater goal. 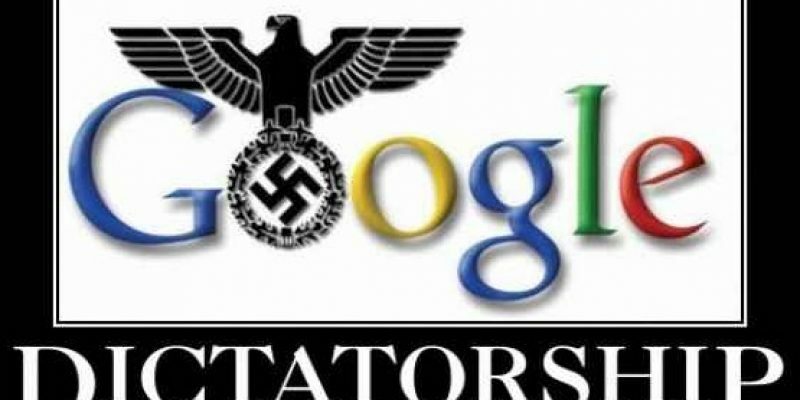 Evidence is piling up that Google has indeed succumbed to the temptation of power, and is exercising it against right-leaning political ideas. In one rather extreme example, Google had quite clearly tinkered with the search results so that “Nazism” was listed as an official political ideology of the California GOP. Incidents continue to pile up, and have since drawn the attention of President Donald Trump. The 1st amendment, which may arguably include a free and open internet, is experiencing a great test with the rise of tech giants that have obtained more power than political oversight. A principled stance would likely want to see that congress ensures that the 1st amendment is upheld. However, this desire may bump heads with individuals who prioritize free market values and recognize these companies as private industries. While a debate proceeds over principles, action is being taken in pursuit of power. Authority over the nation is slipping through the hands of the government. Liberties of average citizens are being constrained. A future is gradually coming into view where Google sits atop a self made throne, overseeing a kingdom of thought which dare not stray into any unapproved domain.